Autumn time has come, so it will be Thanksgiving Day soon! In this chic and beautiful holiday, Princess Disney invites you to have fun together and get a lot of fun on this holiday. As the game starts, Thanksgiving Day with the Disney princesses, then you will be met by princesses who will offer you to choose ideas for clothes for this holiday. You will have the opportunity to choose each of the princesses and try on her beautiful dress, blouse or costume. Of course, you can choose hair, makeup and jewelry. You will celebrate Thanksgiving with the princesses and they will also be in the outfit you offer them. I think it will be a wonderful holiday. What do you think? If you like the game, then I suggest playing other games with Disney princesses . Played: 2880. Added: 17-11-2018, 15:50. 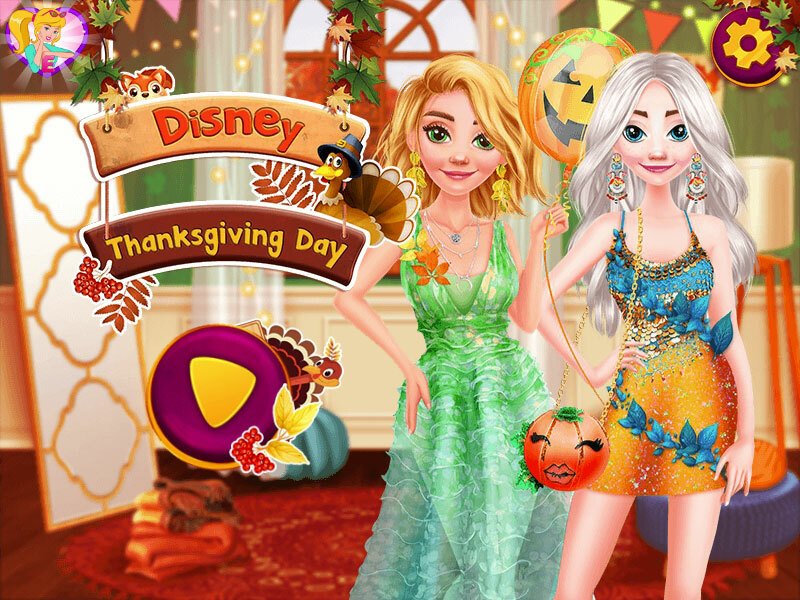 Disney Thanksgiving Day dress up game.